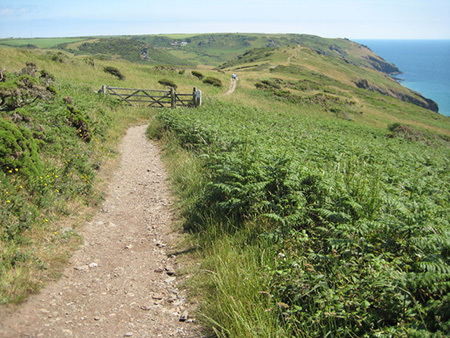 Wessex has numerous walking trails that cross more than one county from the longest trail in Britain to the shorter 20 mile variety. One changes country, another raises money for charity, some continue on their way out of Wessex altogether. All pass through incredible and beautiful counry, all are a shutterbug's dream. Cameras and camcorders are essential equipment! Some walking trails are for the serious hiker. Most can be broken up into sections for a day's stroll or a weekend break. All pass through interesting places that also beg for exploration. It is so easy to get distracted! In some cases Guides are available and in others Guided walks. The 630 mile coast guard route of the South West Coastal Path from Minehead in Somerset to Poole in Dorset. Britain's longest Trail. Not all of it is arduous, there is some gentle walking and there are leads in for shorter walks. Scenery is stunning. A Guide is available so planning short walks is easy. This one is a beauty – something for everyone from the serious hiker to a pleasant stroll. The man in the middle did the whole 290 miles! 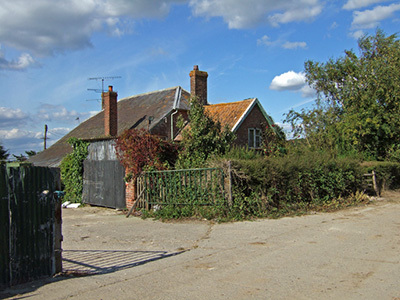 A walking trail that passes through Wessex on its way from Boston in Lincolnshire to Abbotsbury in Dorset. Any money raised from walkers and their sponsors, goes to McMillan Cancer Support. The whole trail is waymarked all the way and runs for 290 miles in total. There are branches enabling longer or different walks. A holiday, a sponsor, and donate the proceeds to the charity – really worthwhile. A branch of the main trail. 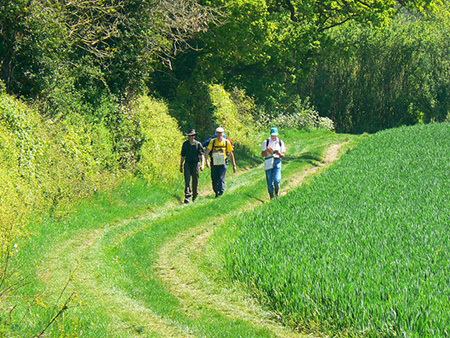 102 miles of waymarked track from Castle Cary to Barnstaple. Another chance for a sponsored walk for charity. This one is different – international - from Winchester to Portsmouth and by ferry across the English Channel to Mont St Michel in Normandy, France. In the footsteps of medieval pilgrims from the shrine of St Swithun to the sanctuary of St Michael. 155 miles in total including the ferry. 102 miles straight across the middle of Dartmoor, Exmoor and the land between. Definitely not for the novice, it needs good navigational skills and knowledge of the moors. 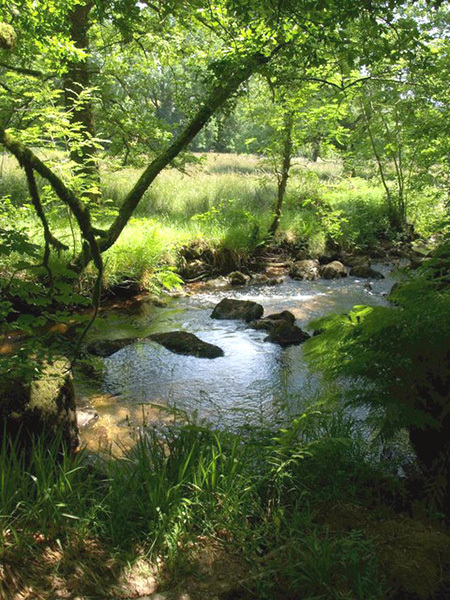 The Trail runs from Ivybridge on the edge of Dartmoor in Devon to Lynmouth on the north coast of Somerset. There are parallel bus and train routes. Links are The Tarka Trail The South West Coast Path, Little Dart Ridge and Valley Walk, Taw/Teign link, Dartmoor Way and the Erne Valley Trail. 137 miles of what was once part of a prehistoric route connecting the Norfolk and Devon coasts. The Wessex Ridgeway crosses both Wiltshire and Dorset, from Marlborough to the ancient stones of Avebury Circle over the downs to Lyme Regis on the coast. The route is divided into two sections, the north part runs to Ludwell on the county border and the southern one from Ludwell to the sea. Both sections can be divided up into short walks between interesting places for a day out. 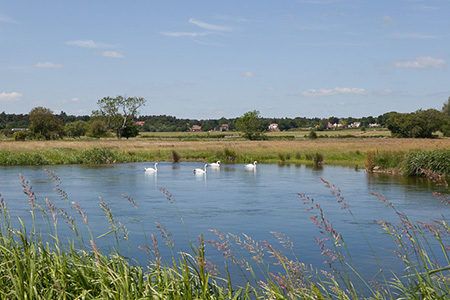 A 50 mile hike along the banks the River Parrett from its source in the Thorney Mills Springs near Chedington in Dorset through the Somerset Levels to its mouth in the Nature Reserve at Burnham on Sea. Comfortable walking. 34 miles from Salisbury in Wiltshire through Hampshire and south to Christchurch in Dorset along the Avon River. Needless to say this route can get pretty muddy at times. Makes a good five day holiday walking a stretch each day. Or may be just one day out along the way. Wildlife, water meadows, downland, forest ponies – delightful. 24 miles. Starting in Salisbury near the River Avon it crosses the River Test and ends by the River Itchen in Winchester. Stroll through pretty villages set amongst water meadows and woods. Walk through the rolling countryside of the chalk downlands, their hilltops making the climb worthwhile. Watch the wildlife and if you are between April and July you may be lucky to hear the cuckoo, although rarer these days. These wonderful long footpaths make delightful short breaks, or days out along part of the path. Why not consider the pleasant idea of staying along the route.